I just heard the most ridiculous statement from a subscription economy* owner who should know better: “The value of what I deliver to my members drives retention.” The value of what you deliver is less than 20 percent of the reason your member renews or not. There’s a value- and quality-driven brand within the motorcycle industry, Honda. The quality of their product is exceptional. The value for the investment is excellent. Yet, they represent a fraction of the sales that Harley-Davidson generates in the categories where Harley-Davidson chooses to compete. In those categories, Harley-Davidson has more than 50 percent of the market share for their products. Yes, customers buy Harleys more than any other motorcycle, even though Harley-Davidson is the premium priced product. Can you name another industry where the premium provider owns more than half of the market share? In retail, this would be comparable with a company such as Tiffany’s outselling Wal-Mart, Target, Macy’s, Amazon, and all the other clothing retailers combined. How does Harley-Davidson do it? Is it by delivering superior value? Does a Harley-Davidson motorcycle transport you to your destination more effectively? Are there Harley-Davidson only roads? Or Harley-only lanes? Are people able to ride Harley’s that can’t ride any other motorcycle? Is there any factor where Harley delivers 10 times the value of other providers? No, because the key drivers of Harley-Davidson’s success have little to do with the value of what it delivers. 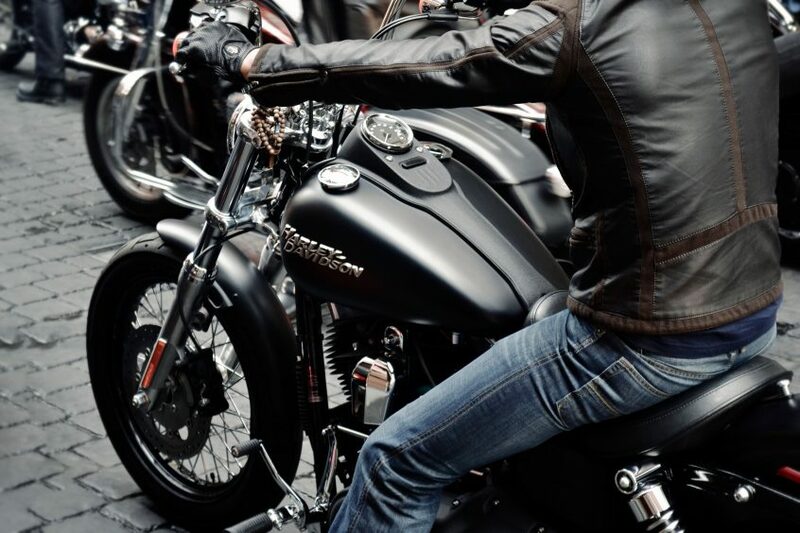 Harley-Davidson sells more premium-priced motorcycles than all the other motorcycle manufacturers combined because it has a brand that makes more customers want to buy a Harley over any other. Harley-Davidson dealers in Florida have been my clients since 2003. And, while I’ve worked tirelessly to drive traffic into their dealerships and provide sales and marketing training for their team members, I’ve learned a lot more from the experience than they ever learned from me. Most importantly I discovered that Harley-Davidson knows a lot about how to deliver a product that, for instance, Honda and Suzuki have never figured out. When you sell a product or subscription you are delivering a lot more than the functional value. Think for a moment. What does a Harley-Davidson deliver that a Suzuki does not? Driving the Harley-Davidson feels completely different. Sure, there are differences in the motorcycle, but mostly, you feel different because of the logo on the side. It doesn’t matter if you are an attorney who works at some company’s tax department, if you repair cars for an auto repair shop, or if you work any other job on the socio-economic spectrum. Riding a Harley-Davidson transforms you into a badass, and it makes you a member of a club. As long as you limit yourself to getting and retaining members based on the value of what you sell, you’ll always suffer from poor membership growth. Instead, you have to recognize that your subscription is a premium service and market that way. Premium service? Yes. Whether you feel like your subscription is priced high or it is a low-priced product, it’s a premium service. Customers don’t need what you sell. It’s optional, but belonging to your membership makes them feel good. I’m sure it enhances their lives. I’m sure your product makes your customer happier. And I’m sure your customers get value from what you deliver, but that’s not why they subscribe. Just between you and me right here, do your customers really need your subscription membership? Yes, I’m sure their life is better with it. But will their lives go back to being pretty much the same if they choose your competitor or choose not to buy in your category at all? Sorry for being so blunt, but it’s about time you realized that you are a premium provider. If you embrace the premium position in the same way Harley-Davidson has, you can own more of your market than all of your competitors combined. Let’s examine what that means. The inherent value of what you deliver has little impact on price, number of new buyers and retention. Instead, the key driver of your subscription revenue growth is based on how your members feel about you and their subscription, as well as the relationship they have with you and the community you created. Have you seen a single Harley-Davidson commercial where they talk about the product being delivered, the horsepower, the features, or the price? No. What are they about? They are about the experience. They are about how you’ll feel when you drive your Harley-Davidson. What is your marketing about? Does your marketing talk all about you and what you deliver each month, or does it focus on how your member will feel once they are a member and take advantage of the products you deliver? Focus on the outcomes. Sell them on how it’ll feel when they solve their problems with your membership and what it’ll be like as part of your community. You are a premium product and have the opportunity to earn premium prices. Own it and market your subscription as a premium product for maximum subscription growth. *The term “Subscription Economy” was created in 2007 by Tien Tzuo, Founder & CEO of Zuora, Inc.
A great eye opener! Thanks!